The new range of summer cocktails is a fantastic addition to the Still Spirits range of flavours. These sachets are designed to be added to either vodka or (for those lucky enough to live in countries where distillation is legal) to your own distilled spirit. Pina Colada: Rum, pineapple juice and cream of coconut. Cosompolitan: Vodka mixed with triple sec, cranberry and fresh lime juice. Strawberry Daiquiri: White rum, strawberry liqueur, lime juice and sugar. Margarita: Tequila and triple sec with either lemon or lime juice. These kits really do make a fantastic summer refresher, and do not have that nasty artificial taste that can condemn some essences to the saucepan. 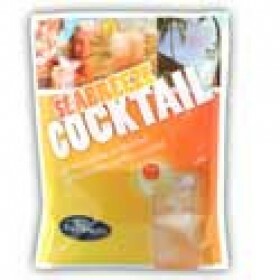 Each sachet has a different amount of alcohol required, with the Margarita being the most alcoholic. (30% abv) and Seabreeze the lowest at just 9% abv. Each kit comes with serving suggestions and makes a full liter of cocktail. There is also a detailed set of instructions on how to produce frozen cocktails. We made all of our taste samples with cheap vodka. Needless to say we have a whole load left. Now, what should we do with them? Man, I love my job - Cheers. A combination of vodka, cranberry and grapefruit juice.Needs 225ml of 40% spirit to make 1 litre at ..